Reflections on the East Canadian Field Conference's annual conference in September. 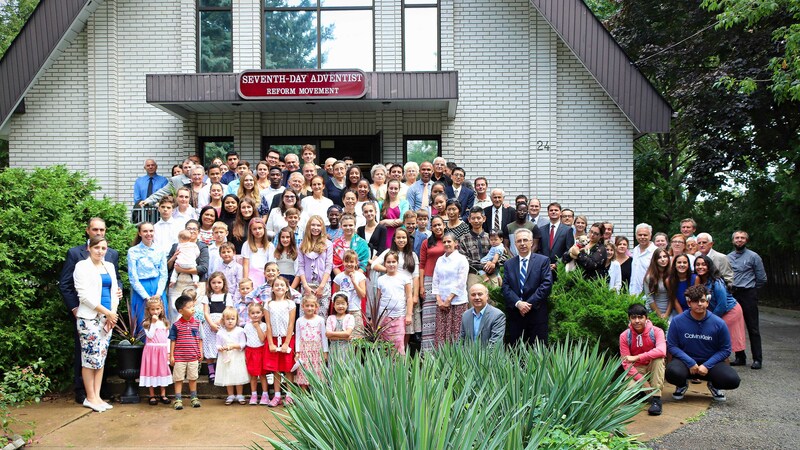 Toronto, Canada—From Friday, August 31, until Sunday, September 2, 2018, approximately 200 believers from Canada and the United States gathered in Toronto, Ontario for the annual spiritual conference of the East Canadian Field Conference. It was a time to visit with old friends and make new ones. This year’s conference was dedicated to the needs and opportunities of the younger generation as they prepare for their life mission – to become the end-time heralds for the returning King. The conference's main theme, “Preparing Our Youth for Time and Eternity” also highlighted the duties and challenges facing the parents, teachers, and church leaders as they prepare their children and youth for Christ’s high calling. Brother Peter Lausevic, the conference's main speaker, captured in each of his three sermons aspects of our youth training for the last phase of the Great Controversy: “Youth in the Final Crisis” – the unique role of the youth living in the last moments of the earth’s history; “Youth – A Powerful Tool” – God’s plan to make our youth and all His faithful people true leaders, the head and not the tail; “Youth in Action” – God’s word, like a fire burning in the bones, will compel the converted and well-trained youth to boldly declare the Three Angels’ Messages and prepare the way for the Second Coming of Christ. It was a great blessing that this conference was attended by a large number of children and youth who were sitting in the front rows as they absorbed the inspiring and well-displayed gems from the Word of God. But the youth at the conference were not satisfied with remaining passive observers and listeners. They made a major contribution to the success of the conference. Two young brethren from the US, Willy Acosta, from the East Coast and Ebert Fountain, from the West Coast, skillfully engaged the congregation in the study of the Sabbath Bible lessons on the subject matter of prayer. Two younger Canadian members, one a local church youth leader (Sister Nicole Lasica) and the other the conference youth leader (Brother George Schiopu), coordinated the Sabbath afternoon Young People’s Meeting. We will remember this YPM as one of the most accomplished musical youth programs in recent memory. While attending this meeting we all realized that a new generation of gifted boys and girls are coming to the stage. Their God-given talents, if properly developed, will prove to be a great asset of our church in North America. As we approached the close of the Sabbath, we gave the opportunity to several young canvassers to share their missionary experiences gained during the 2018 Toronto Canvassing Project (2018 TCP). Brother Etienne Lombard, with the assistance of Brother Dorin Burca, led the interesting and informative program. The 2018 TCP brought many blessings and valuable experience to our children and youth who are eagerly awaiting another opportunity to witness for Christ. As the official conference program came to a close Sunday at noon, fellowship and recreation still continued. A special outdoor youth program with team building activities took place on our scenic church property in Puslinch. There was much joy and happiness as the activities unfolded. Throughout the conference, both in Toronto and in Puslinch, we were served delicious vegetarian meals for which everyone is thankful to the kitchen coordinator with her able staff. It was difficult to say Good-Bye to our dear brethren and friends. We did in faith that God will give us another opportunity to get together. In the meantime, we will follow the counsel of our Master and best Friend – “...Occupy till I come” (Luke 19:13).